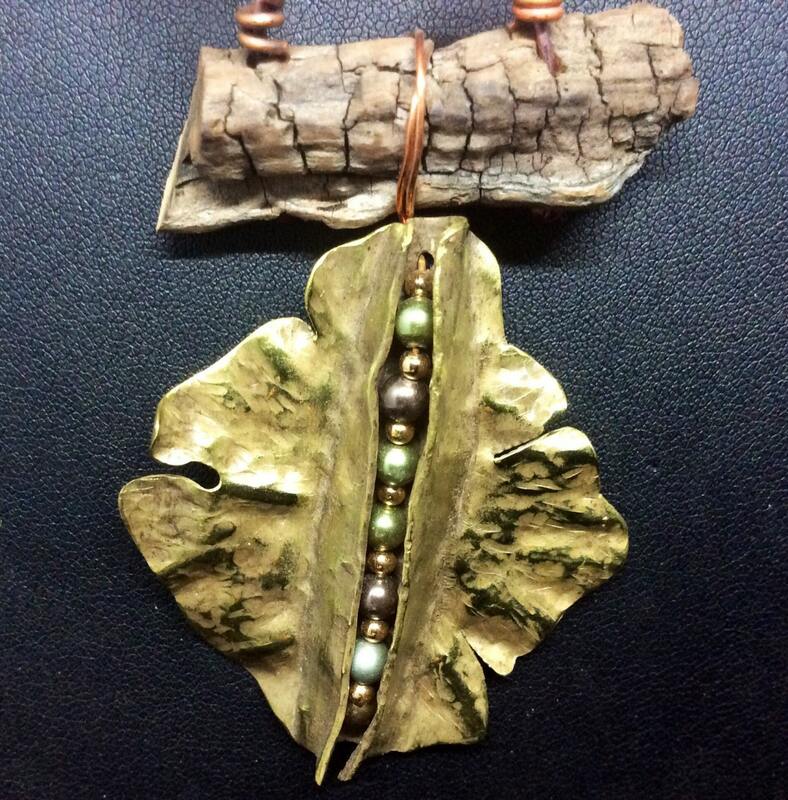 Fold formed, brass pendant, channel with pearls, organic wood jewelry, silk ribbon. Organic, fold formed, OOAK, ethereal. 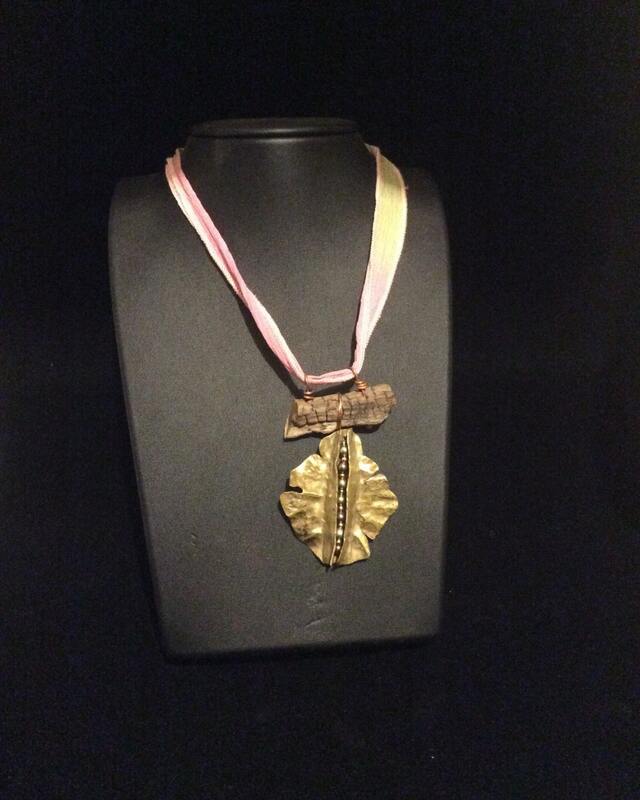 These words only partially describe this unusual necklace! Made from brass sheet metal, a basic design was cut, annealed by torch, then creatively fold formed. A channel was added and tiny glass pearls were strung in the channel. The beautiful wood element was discovered during a walk on my family's farm! 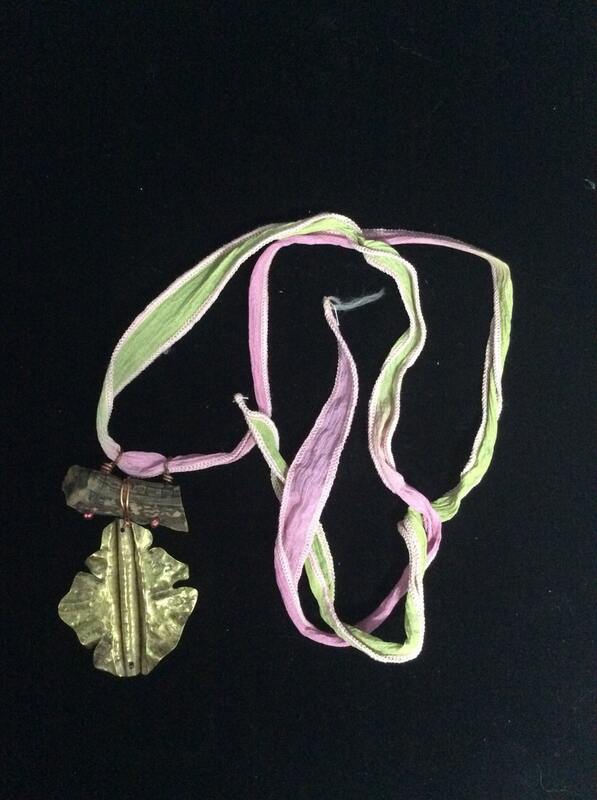 The brass pendant was wire wrapped onto the wood and two balled handmade headpins provide a bail to hang from a sensual strand of soft pink and green silk ribbon! My fold formed jewelry speaks to an audience who wants neckwear that speaks to their individuality; to their desire to wear a piece that visually describes who they are and how they think! That's a pretty tall order for a square of sheet metal and a piece of branch!!! It's in the uniqueness and the juxtaposition of hard metal against organic wood and silk that a statement is made. You want an artistic means of telling the world you think independently, and you have your own style. Once you wear this necklace, you'll realize it was made exclusively for you. 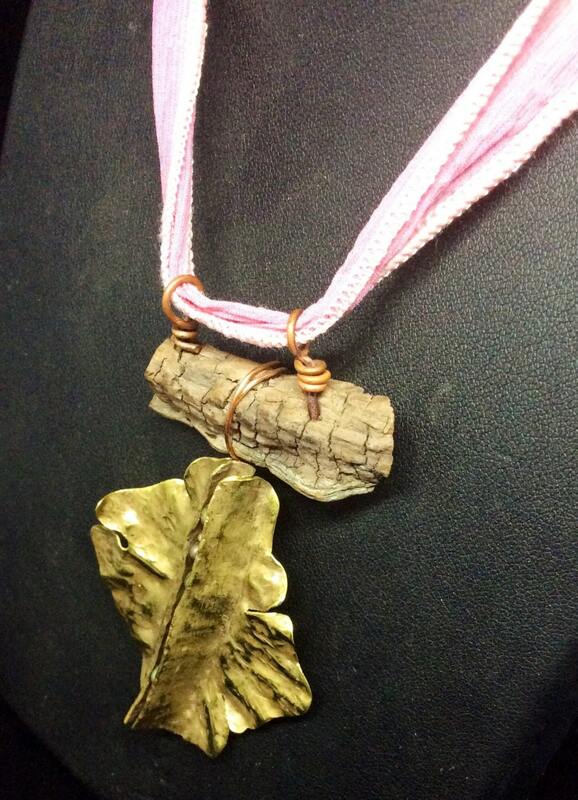 Both you and the necklace are one-of-a-kind! 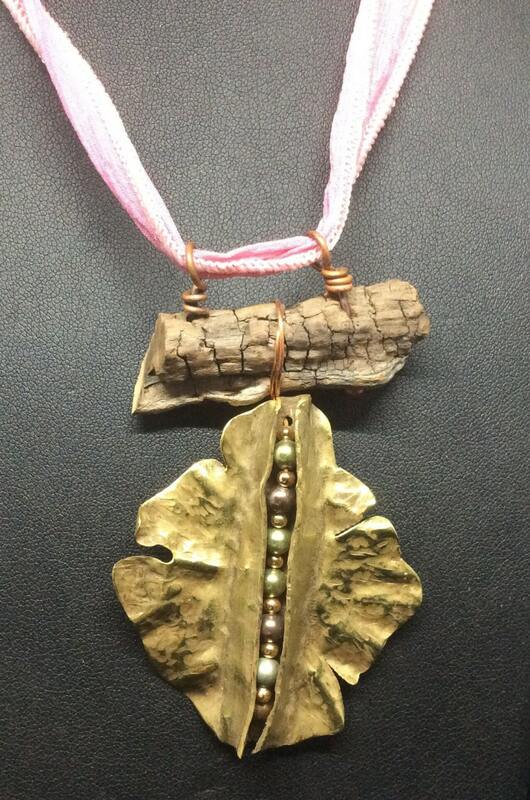 This fold formed necklace is light weight and the pendant is 2 3/4" long. This includes the wood element. The silk ribbon measures 36" and is fully adjustable depending on how it is tied. All of my jewelry pieces are guaranteed when worn under normal conditions. Should any piece come loose or breakage occur, I will fix your piece for free, provided you pay shipping. And as always, Jesco Jewelry ships for free!